The website openculture.com lists a hugh number of freely available audio books. The list contains read books by Jane Austen, Charles Dickens, Ernest Hemmingway, George Orwell, Edgar Allen Poe, William Shakespeare, Mark Twain, Oscar Wilde and lots of other well known authors. They recently added “Alice in Wonderland” read by Canadian blogger, author and activist Cory Doctorow. This was quite simple. I downloaded the Creative Commons logo and this graphic of a heart. Then I opened both files using the free vector graphics editor Inkscape, replaced the circle with the heart and made the outline of the heart a bit thicker. As the graphics of the heart and the Creative Commons logo do not have the threshold of originality, they are in the public domain. The same probably applies to my combination of both. So feel free to use. Be aware, that the Creative Commons logo may be subject to trademark laws. But as one would only use it to promote Creative Commons, I can’t imagine that they would be offended. Download the SVG vector graphic here. You can use it to export the graphic in any size. People from Creative Commons asked me to make a clarification. The Creative Commons logo is protected by trademark law. Therefore the originality threshold does not apply and the logo is not in the public domain! That is to say, I was not allowed to modify and publish it without explicit permission of Creative Commons. Luckily they seem to like the modified logo and gave me permission to use and share it on my website. It is import to understand that using the “I love Creative Commons” logo is not suitable to make any work Creative Commons licensed. To license your work you must exactly state under which of the several licenses your work is licensed. The best and easiest way to do this is to use the license chooser on the Creative Commons website. Evgeny Grinko is a Russian musician who plays drums for several Moskau-based bands. In autumn 2009 he released his “Cinematic Melodies EP” which can be downloaded from freemusicarchive.org, well, for free of course. On the 1st of January his “Winter Sunshine EP” was released, which contains five piano pieces. It is also available from freemusicarchive.org. This is the new song “i don’t care” by “i am poet.“. 19-year-old musician Maximilian Hohenstatt released his self produced EP “phonological.” earlier this year under Creative Commons BY-NC-ND license. He describes himself as an “electronic, melancholic singer/songwriter”. “RiP! : A Remix Manifesto” is a 2008 documentary film about copyright in music in past, present and future. It tells many interesting stories surrounding the evolution of music as we know it today and the part copyright plays in that process. It starts telling the story of Girl Talk an American musician who creates his music solely by sampling other music. This is against the current copyright laws because he uses copyrighted material of other musicians without permission. So Girl Talk is someone who builds on the past. But Gaylor shows that music was always built on the past. He tracks the traditional folk song “This May Be The Last Time“, recorded by The Staple Singers in 1959, to The Rolling Stones “The Last Time” from 1965, to an instrumental version by Andrew Oldham Orchestra in 1966, to “Bitter Sweet Symphony” by The Verve in 1997. The Verve was sued by The Rolling Stones’ publishers and Keith Richards and Mick Jagger took all writing credits. Lawrence Lessig, a founding board member of the Creative Commons, says that you can’t stop people from using technology to remix culture. You can only criminalize them. He argues that similar to quoting text in an essay one should be allowed to also “quote” film and music to create a new work. Cory Doctorow, a blogger, journalist and author, who releases his novels under Creative Commons licenses, talks about how business models are changing over time. In the times before radio and record people could only make money from making music by playing it live. The musician had to be charismatic for that to work. With records and radio the need for live performances to earn money from music was gone. From his point of view today large corporations try to save their business models, which are based on selling records. But maybe we reached a point in history where selling records has lost it’s potential to make money. Maybe today the musician has again to perform live to make a living. Why should these companies be allowed to stop these changes from happening? Should the musicians some decades ago have stopped companies from selling records and destroying their business model of live performances? The film can be watched online in full length (1:26:25) on the website of the National Film Board of Canada in HD. You can also download the film and pay what you want (even nothing at all) on the film’s website. Trent Reznor, the front man and leader behind the Nine Inch Nails, started a new project called “How To Destroy Angels” together with his wife Mariqueen Maandig. The third man is Atticus Ross, who was credited as a producer and programmer for the last four NIN albums. 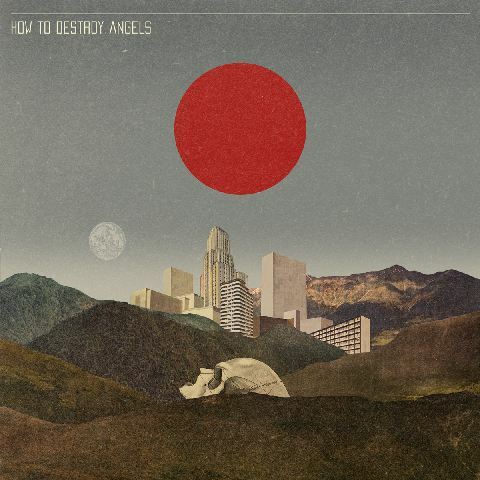 How To Destroy Angels released a self-titled 6-track EP in June 2010. Like the last two NIN albums it was released under a Creative Commons license and can be downloaded from the website. The music style is not too different from what Nine Inch Nails were doing the last years. If you like them you’ll probably like HTDA. Besides the free 320 kbps MP3 version, you can choose to buy a lossless (FLAC/ALAC) version vor $2.00 USD. Included is the music video for “The Space In Between” in 1080p and 480p video quality. How To Destroy Angels: The Space in Between [HD] from How To Destroy Angels on Vimeo. 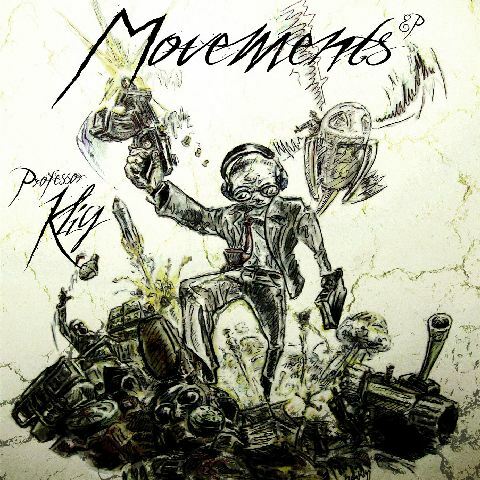 U.S.-based 24 year old Professor Kliq produces music somewhere between Readiohead, Fatboy Slim and The Prodigy. He is currently studying music at the Columbia College in Chicago and describes his style as something between Big-Beat, Ambient and Trip-Hop. All his music is licensed under CC-BY-NC-SA. You can pre-listen and download all his music from his website.